Are you looking for a fun way to spend your summer (but also the rest of the year) in Pennsylvania? We suggest camping! 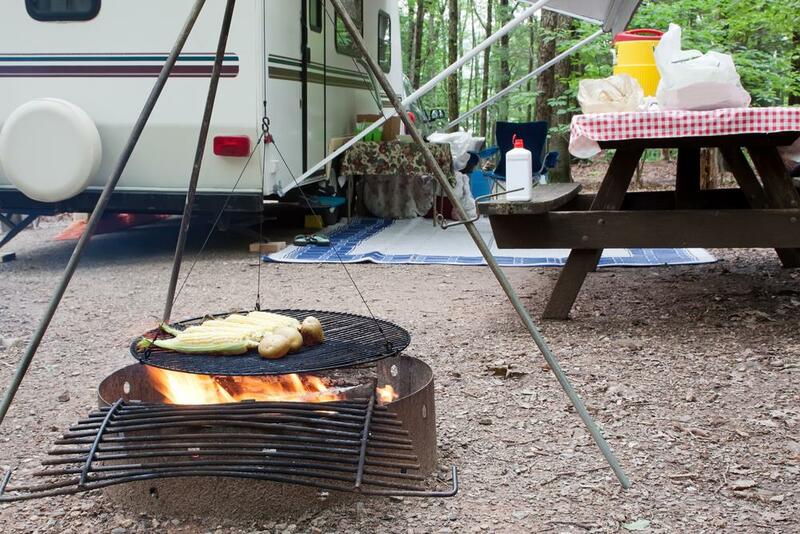 We've got a list of the best campgrounds in PA for you and your friends and family to enjoy. Not only that, but we will also give you some excellent outdoor activities that are worth trying or checking out. What Are the Best Campgrounds in PA? Cook Forest State Park is definitely of the best in Pennsylvania. The state park is over 8,500 acres large, thus offering more natural attractions. Camping among the trees is an incredible experience you shouldn’t miss while in the state. There's a family-friendly campground called Ridge Camp, and it has over 200 sites for tents and trailers which are open all year. Most sites are close to conveniences for comfortable camping. Within the facility, you can find playgrounds, restrooms, shower houses, cabins, picnic areas, a laundromat, and some stores. How close they depend on the campsite location. There are also cabins in Cook Forest Campgrounds which are available for rent. It includes a bed, a gas stove, a refrigerator, tables, and chairs, but you'd have to bring your bedding and kitchenware. The peak season of the park is from April to October. Make sure you book or make reservations ahead of time. For most of the campsites, you can make reservations as early as 11 months before your arrival. The campsites vary in price, but the cheapest is around 15 dollars (the modern-rustic and non-electric sites). The highest you can pay per night is around 116 dollars which are for the rustic cabins. For more information on the rates, click here. Hiking and BikingCook Forest, formerly known as the Black Forest, is a natural paradise that attracts many outdoor enthusiasts. Many people come to hike under beautiful towering pines which in itself is amazing. There are many trails that vary in difficulty, but the longest one is only about three miles. Still, you will need to be physically ready for it. Have some superfood beforehand to you can give yourself ﻿﻿﻿a boost for the high energy level activity. Water activities in Clarion RiverReaching Clarion River is also an adventure in itself. The hike towards it includes a canopy of trees which are incredibly beautiful during autumn. HuntingThere are some designated areas where you can hunt wild turkey, white-tailed deer, and small game. Cook Forest State Park is in River Road Cooksburg, PA. It's about 2 hours from Pittsburgh and almost 5 hours from Philadelphia. The fastest route from Pittsburgh is via PA-28N and from Philadelphia is via I-476 N and I-80W. 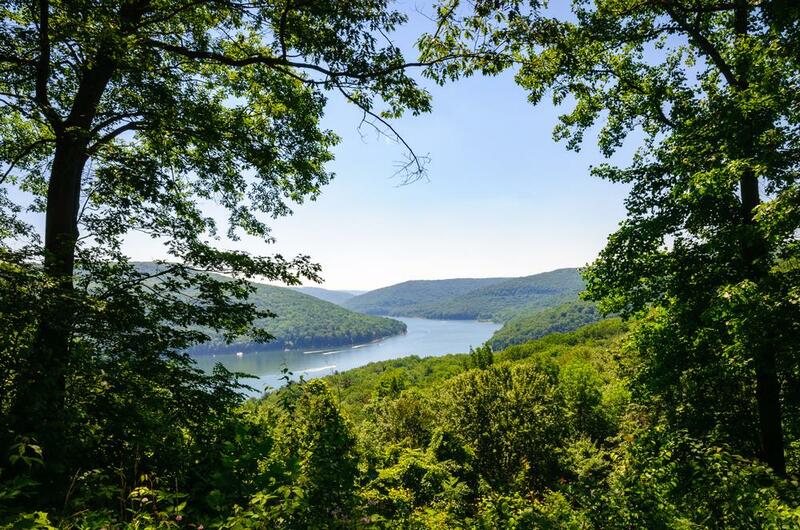 Sinnemahoning State Park is another one that nature and outdoor enthusiasts love very much. It's almost 2000 acres of natural beauty, with the Elk State Forest surrounding the area. There are about campsites less than 4 miles from the park office, and these sites can accommodate tents and recreational vehicles. These sites have wash houses, flush toilets, a sanitary dump station and potable water. There are also picnic tables and fire rings for your convenience. One of the key features of Sinnemahoning State Park is that there is an abundance of wildlife. It's home to some nesting bald eagles, many species of birds and butterflies, and elk. It’s an ideal place for wildlife watching. 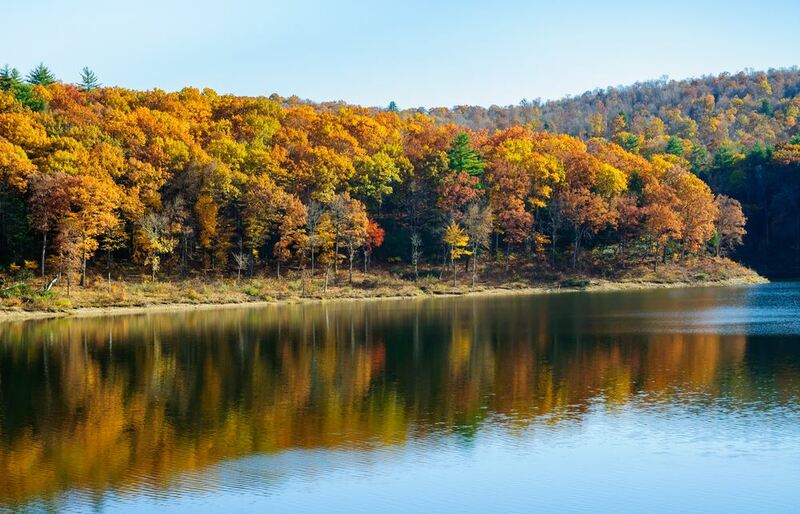 Sinnemahoning State Park is open year round, but make sure to check their office or make a call for more information. Most sites should be reserved at least three days before arrival up to 11 months ahead. The price varies from 15 dollars up to over 150 dollars per night. The most expensive one is a modern cabin. For more information on the rates, click here. Wildlife watchingThis is one of the park’s highlights. It’s one of the places you might be able to spot a nesting bald eagle. There are also many species of birds and butterflies. FishingAt the southern part, there is a 145-acre reservoir (George B. Stevenson Reservoir) that is excellent for fishing and other water recreational activities. You'll need a launching or mooring permit from the state park offices. HikingThey are many trails in different levels of difficulty, but most are even doable by novice hikers. They are also ideal for families with children. 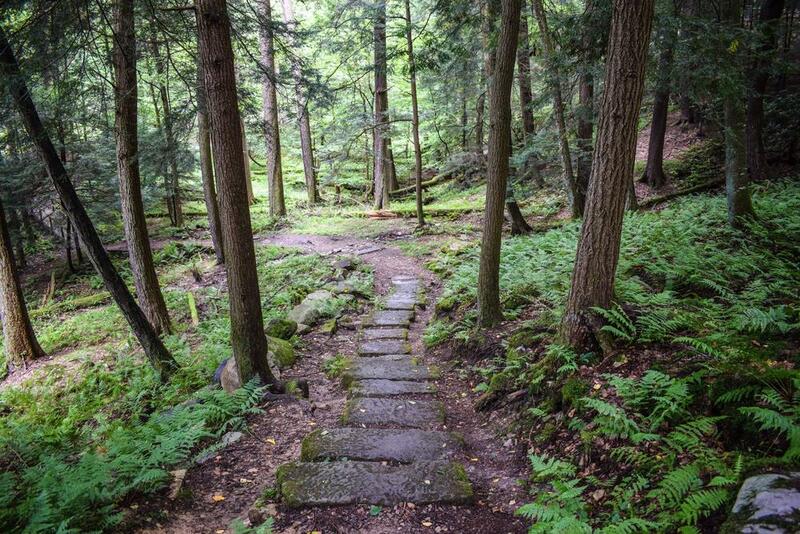 Many trails will let take you through grassy areas, ponds, and hardwood forests. Hiking is extra beautiful during autumn when the trees are extra colorful.If you're looking for a more primitive experience, check out the Red Spruce Trail. It includes a large wetland area and a canopy of hardwood trees. The trail is relatively easy, but the wet and slippery rocks and roots make it more challenging. Ice skating (only during winterDuring winter, you can go cross-country skiing and snowmobiling. Ice skating is also available in some areas near the northern part of the park. However, you have to be extra careful. Ice thickness is not monitored, so you have to use you'll have to use your judgment. Sinnemahoning State Park is located in Cameron and Potter counties in Pennsylvania. It’s around 4.5 hours from Philadelphia or 3.5 hours from Pittsburgh. For more details on how to get there, click on the map. If you’re looking for a more laid back camping experience with family or friends, Yogi Bear Jellystone Park is ideal. They try to accommodate all sorts of campers by offering sites for tent, RV, and cabin camping. They also have amenities that to make the experience easy and comfortable, even if you are tent camping. The campsites have fire rings, picnic tables, water, and bathhouses for your convenience. There are also electric and cable hookups, sewers for those who are RV camping. If RV or tent camping are not your type, there's always cabin camping. You can choose from premium cabins which have full bathrooms, kitchens, porches, and more. There's so much to choose from in Jelly Stone, which makes it great for novice campers. 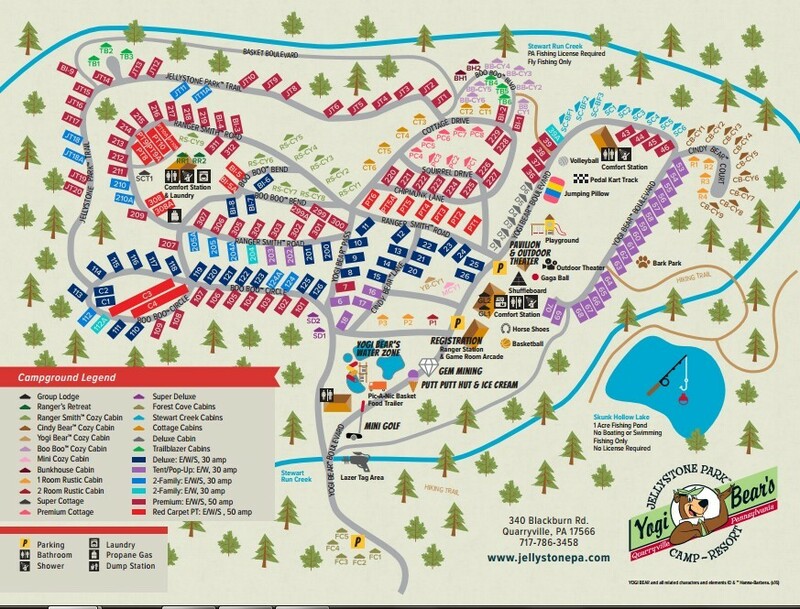 The rates for Yogi Bear’s Jellystone Park Camp-Resort depend on the campsite. The more you pay, the more facilities are available. They also offer a lot of packages that provide great freebies or great deals that allow you to save. You should make reservations, especially during peak season (summer) for a particular spot. They have swimming pools, hot tubs, and a water park perfect for kids and families. There's also many games and events you can do such as laser tag, mini golf, and a pedal kart track. If you want a more peaceful and natural experience, the park has a hiking trail along Stewart Run Creek. Bring something that relaxes you, whether it’s music, food, a book, a drink, etc. There are a few Yogi Bear Jellystone Parks in Pennsylvania, but the one I am recommending is in Quarryville PA. It’s around 5 hours from Pittsburgh and about 2 hours from Philadelphia. For more information on the route, see the map below. There’s also a park in Mill Run, PA. It’s closer to Pittsburgh (around 1.5-hour drive) than Philadelphia. French Creek State Park is one of the nearest decent campgrounds close to Philadelphia. It’s only about an hour away from Philly, making it a nice quick getaway destination. The park is over 7700 acres large with parts touching Washington D.C and New York City. It has forests, fields, lakes, and other natural beauty that makes for a beautiful camping destination offering any outdoor activities. The campgrounds are available all year at 47 sites, with many that are close to the showers and flushing toilets. There are also sites with electric hook ups and water and sewer hookups. If you have pets, you can bring them along in some areas. Hiking and Trail RunningThere are miles of trails for visitors to enjoy. Autumn season is especially beautiful because of the colorful canopy of trees over your head. Mountain BikingIf you are a mountain biker, you’ll love the trails within the park. There is about 20 miles of trails that go over hills, pass through trees, and cross over streams. They're more for the experienced, though. Make sure to check where you are allowed to go because there are some areas where biking is prohibited. SwimmingThe park has a swimming pool near Hopewell Lake that is open during the warm seasons unless otherwise stated. During this time, there will also be a food store open at the complex. 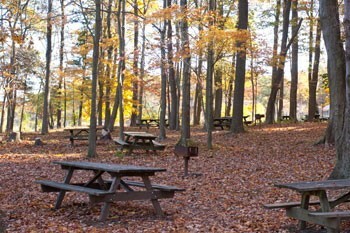 There are picnic tables all around for visitors to use. 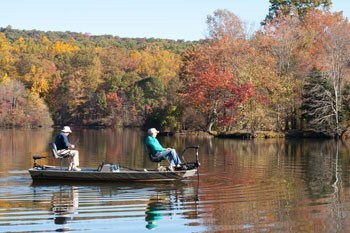 Boating and fishingHopewell Lake and Scotts Run Lake allow boating and fishing considering you have the necessary permits. If you have inflatable watercrafts, they must meet the state park's standards as well. For more information, you can visit the park's website or inquire via telephone. Disc golfThe disc golf course goes through the woods around Hopewell Lake. It's a fun activity families and individuals can enjoy. Wildlife watchingThe park is home to many deer, squirrels, songbirds, and other small creatures. It's also a stop for many migratory birds. The Allegheny National forest is the only national forest in Pennsylvania. It has plateaus, valleys, and the Appalachian mountains for a backdrop, making it quite a beautiful sight to see. The national forest is about 517,000 acres, so you can be sure that this place offers lots of natural beauty and a lot of recreation. There are plenty of campgrounds in ANF are from cabin rentals to RV camping and tent camping. Reservations will vary per campground, but as always, it's better that you inquire about reservations and booking. One good one that I recommend is Red Bridge campground. It has around 65 sites, each with a picnic table, a tent pad, and a fire ring. There are also sites with electricity, water, and sewage hookups. Hiking.The forest is over half a million acres so there’s plenty to explore. Hiking trails are everywhere varying in distance and difficulty. Near Red Bridge, there's the North Country National Scenic Trail which is less than a mile southward from the campground. This trail runs through New York to North Dakota. Biking and trail running are some of the simple activities you can do, not necessarily in Red Bridge, but around the national forest in general. BoatingThere are boat ramps around the river for small boats only. You can go bank fishing and swimming as well. Kinzua Sky WalkKinzua Sky Walk in the ANF offers a breathtaking view of the Kinzua Gorge. It's not so near Red Bridge, but it's definitely a must-go for visitors of the forest. It’s around 40 minutes by car from Red Bridge campground. Swim at your own risk at the reservoir in the campground. There won’t be any lifeguard to watch over you. As you can see, Pennsylvania has some awesome campgrounds. The natural beauty it offers is incredible, and the variety of outdoor activities are numerous. Almost all the campgrounds offer family-friendly facilities. RV camping and tent camping sites are not difficult to find at all. Just make sure that you do your research and call ahead even if it is not necessary clarifications about regulations, schedules, and other information. Thank you for reading, and I hope it was helpful to you. Let us know how your experience in any of these places goes after your adventure using the comment section below. For more information, visit the website of each place or find Philadelphia RV parks and campgrounds here. You can find them in the reference section below. Enjoy!